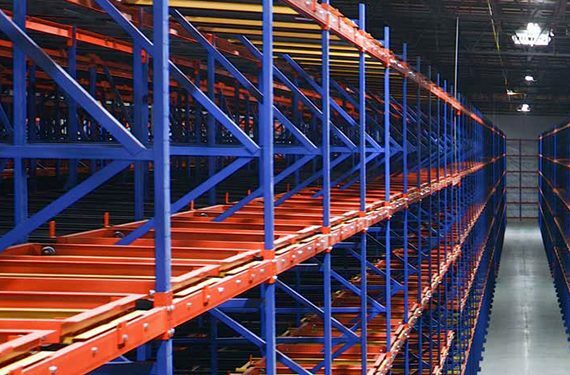 To keep workers safe when picking items stored at levels above the facility floor—such as in pick modules or on shelving within rack supported platforms—guidelines are offered in RMI’s ANSI MH16.1-2012: Specification for the Design, Testing and Utilization of Industrial Steel Storage Racks, section 8.4, “Pick Modules and Rack Supported Platforms.” The documentation focuses on common-sense safety features and best practices, including ongoing training, to minimize the risk of worker injury as they go about their assigned tasks. 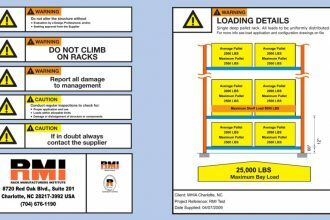 Included are requirements for posting of design loads in both rack configuration and load application drawings, as well as in conspicuous locations within the structure. It also walks through calculating the maximum limits for concentrated and uniformly distributed loads so as to not exceed the structure’s capacity, causing a potential collapse. Guardrails for fall protection that clearly delineate the edge of the elevated platform, and prevent a worker from accidentally stepping off it. Flooring that is consistent and free of gaps or trip points that could cause a fall or a load to become jammed or obstructed. 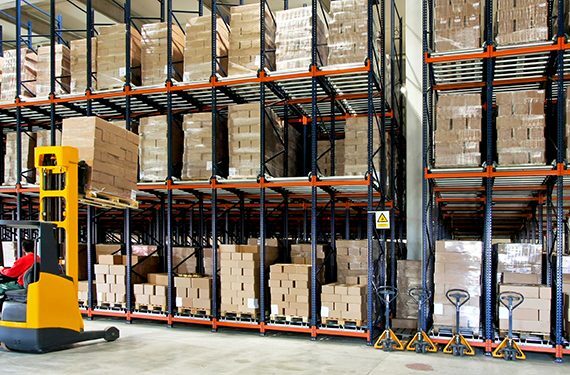 In operations with powered equipment located nearby, such as conveyor or sortation systems, electro-static dissipative (ESD) flooring is recommended. 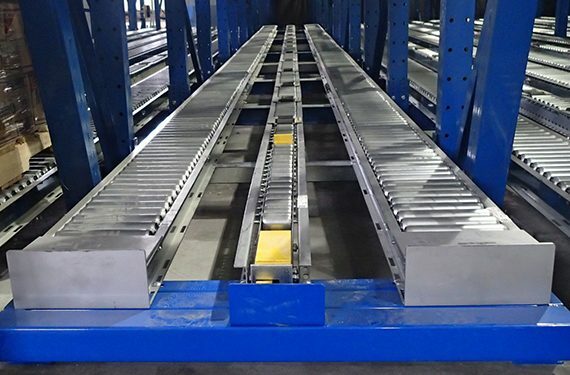 Kick-plates at floor level that rise vertically from the edge of the platform, preventing a dropped object from sliding over the edge and impacting a person or material handling equipment. 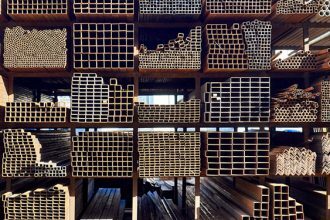 Stair handrails, which are governed by building codes, but give personnel a solid, sturdy surface to grip or lean against as they traverse the stairs and landings that access the platform. 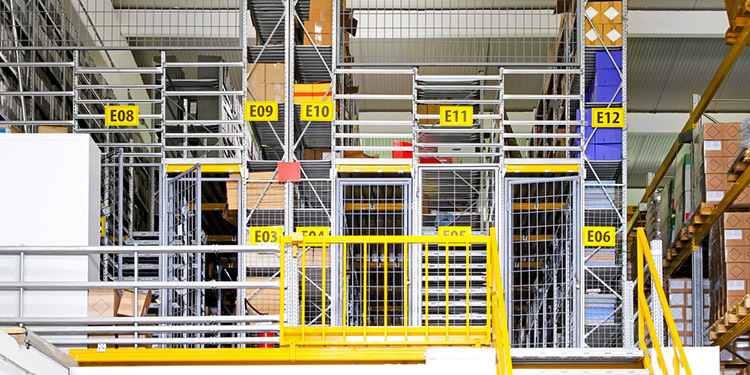 Product fall protection, such as barriers or netting, that prevents products stored high above the facility floor from falling to the ground—and potentially striking personnel or other material handling equipment—should it slip off the edge of a rack or shelf. 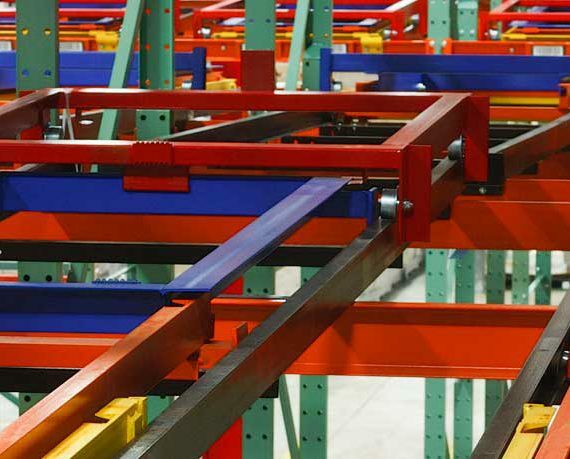 Seeking for more details about how to enhance worker safety on elevated platforms? 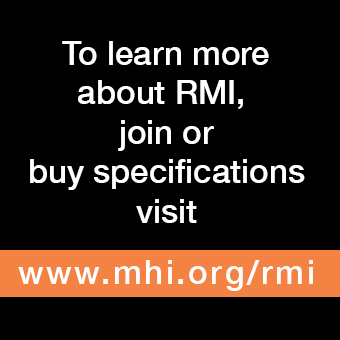 The full specification begins on page 32 of ANSI MH16.1-2012.